Jack Pouchet is vice president of business development and director of energy initiatives for Emerson Network Power. 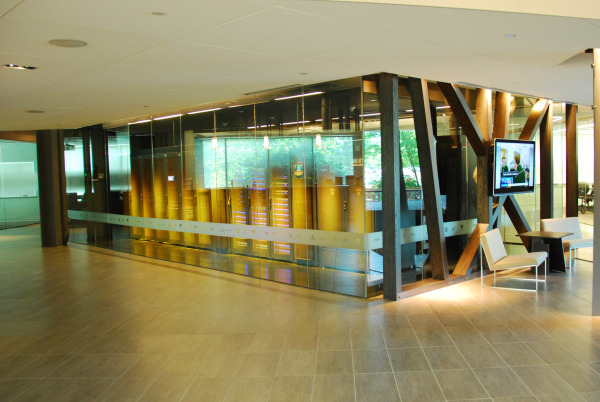 Data center energy efficiency has been an increasing focus since the issue emerged in 2007. We believe dramatic energy savings can be realized without heroic measures that compromise availability. The key is to focus on the core IT systems, rather than just support systems. This is based on the cascade effect, which shows that focusing first on saving energy at the server-component level will drive energy savings throughout the data center. In 2007, Emerson Network Power introduced a free, vendor-neutral roadmap to saving 50 percent of your data center energy use. While many of the roadmaps core principals - such as the cascade effect - still hold true, the industry has evolved at rapid rate over the past five years. The need to maintain or to build highly available data centers remains the same, but IT and critical infrastructure technologies have changed, creating new opportunities to optimize efficiency and capacity strategies. As a result, weve updated the approach to incorporate advances in technology and new best practices that have emerged since 2007. Ten updated strategies serve as a roadmap. In total, they have the potential to reduce a data centers energy use by up to 74 percent in a typical 5,000 square-foot data center with a PUE of 1.9 and energy consumption of 1.5 MW. Low-Power Components: The cascade effect rewards energy savings at the server component level, which is why low-power components, such as high-efficiency processors, represent the first step. [Save 172KW or 11.2%]. High-Efficiency Power Supplies: Power supply efficiency has improved since our original approach in 2007, but power supplies continue to consume more energy than is necessary. The average power supply efficiency is now estimated at 86.6 percent, well below the 93 percent that is available. [Save 110KW or 7.1%]. Server Power Management: Server power management can significantly reduce the energy consumption of idle servers. Data center infrastructure management systems that collect real-time operating data from rack power distribution systems and then consolidate that data can track server utilization, aiding in the effective use of power management. [146KW or 9.4%]. ICT Architecture: Unoptimized network architectures can compromise efficiency and performance. Implementing a cohesive ICT architecture involves establishing policies and rules to guide design and deployment of the networking infrastructure, ensuring all data center systems fall under the same rules and management policies. [Save 53 KW or 3.5%]. Server Virtualization and Consolidation: Virtualization is facilitating the consolidation of older, power-wasting servers onto much less hardware. It also increases the ability of IT staff to respond to changing business needs and computing requirements. Most data centers have already discovered the benefits of virtualization, but there is often opportunity to go further. [Save 448KW or 29%]. Power Architecture: Historically, data center designers and managers have had to choose between availability and efficiency in the data center power system. Now, new advances in double-conversion UPS technology have closed the gap in efficiency, and new features enable double-conversion UPS systems to reach efficiencies on-par with line-interactive systems. [Save 63KW or 4.1%]. Temperature and Airflow Management: Take temperature, humidity and airflow management to the next level through containment, intelligent controls and economization. From an efficiency standpoint, one of the primary goals of preventing hot and cold air from mixing is to maximize the temperature of the return air to the cooling unit. [Save 80KW or 5.2%]. Variable-Capacity Cooling: Cooling must be sized to handle peak load conditions, which occur rarely in the typical data center. Cooling systems that can adapt to changing condition and operate efficiently at partial loads save energy. [Save 40KW or 2.6%]. 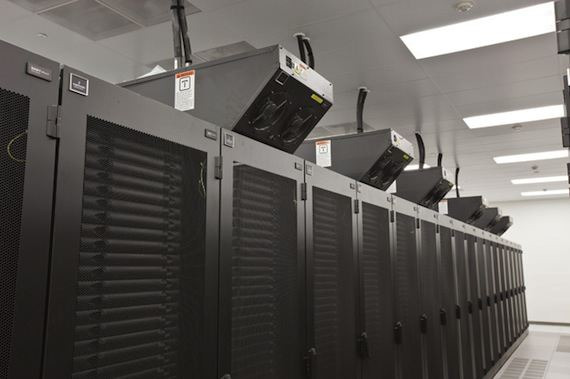 High-Density Cooling: Optimizing data center energy efficiency requires moving from traditional data center densities to an environment that can support much higher densities. High-density cooling makes that possible. [Save 23KW or 1.5%]. This new process demonstrates the potential that still exists to optimize the data center. The introduction of a new generation of management systems that provide greater visibility and control of data center systems, and a continued emphasis on efficiency, serve as proof that there is no time like the present for the industry to begin taking significant actions to reduce the overall energy consumption of data centers. Organizations need a clear roadmap for driving dramatic reductions in energy consumption without jeopardizing data center performance. But just how far can a data center efficiency approach drive you? Take a look at how far each of 10 energy-saving steps could take you via electric car. The cumulative result can literally drive you around the world. To see how much each strategy can save your data center visit the Cascading Savings Calculator. This online tool lets you explore the impact of each strategy by entering information that is specific to your data center, such as the load and facility PUE. Amidst an increasingly digital learning environment and an influx of mobile devices, the School of Visual Arts in New York found it needed to build a strong data center foundation for a dynamic IT future. With the high cost and limited availability of floor space in Manhattan, they chose the SmartAisle solution from Emerson Network Power to deliver an integrated energy efficient infrastructure. When selecting a precision cooling system to support high-availability (and often high-density) data center deployments, today’s data center manager faces tougher choices than ever before. Explore how modular, air-cooled precision cooling systems can help you improve efficiency and reduce energy consumption without adversely impacting the availability of your critical IT equipment. Every 3 to 4 months, DVL hosts a small Data Center Users' Forum. The mission of the DCUF is to provide a commercial free forum where members collaborate on relevant mission-critical issues, new technologies, customer testimonials, and best practices affecting reliability, availability, and lowest cost of operation. This week, the DCUF, which includes IT and facilities professionals from multiple industry types, discussed various topics including: aisle containment systems, bridging the gap between IT and Facilities, outsourcing vs. keeping everything in-house, showing how valuable technology is to the bottom line, how to prove ROI, audits, root cause analysis, the impact of government regulations on data centers, what's the cost of your company's reputation?, free cooling, natural disasters, and redundancy. Engaging with the MTC to envision, architect and prove potential solutions to your business challenges will help ensure that your organization can take full advantage of Microsoft and partner technologies. The MTC team is dedicated to helping you make your vision a reality. Emerson Network Power is a Microsoft Partner. Interested in seeing in person how this Liebert solution can be implemented in your data center?